When you’re living in a big city or even a smaller one, it’s hard to imagine that there are places on Earth that have been completely abandoned, and are only visited by an occasional tourist or two. Just imagine how scary it feels to be the only person in a town. Here are 12 creepiest ghost towns in the world. 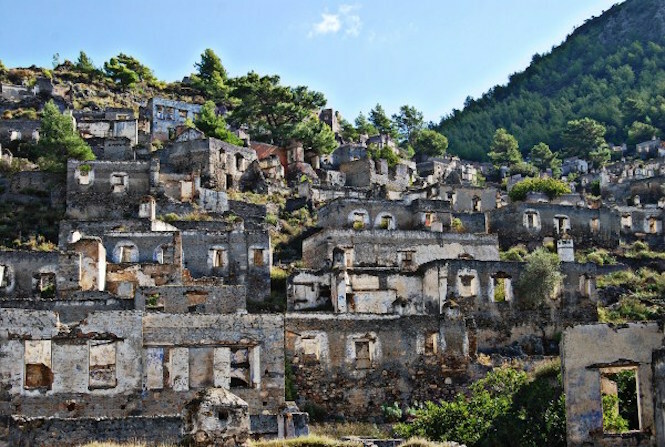 Kayakoy, Turkey – This town used to be home to more than 2,000 Greeks who moved here during the Greco-Turkish war. When it ended, back in 1923, the Greeks decided to move back to their homeland, which left the small town completely abandoned. Today, it is a popular tourist site.